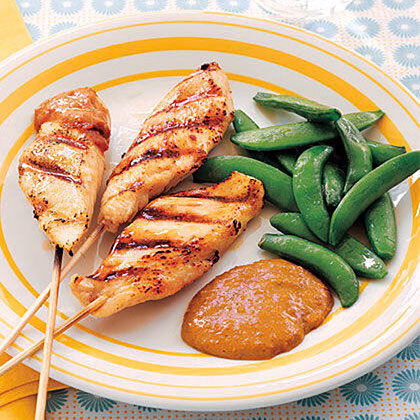 Chicken Skewers with Peanut Sauce are a special dinner treat for kids. 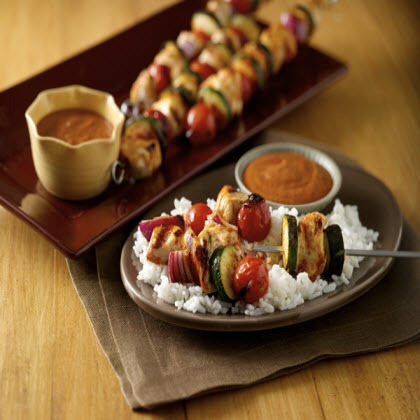 They'll not only love the dipping sauce but the skewers make dinnertime fun. 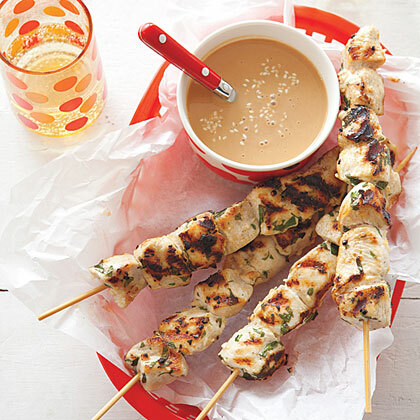 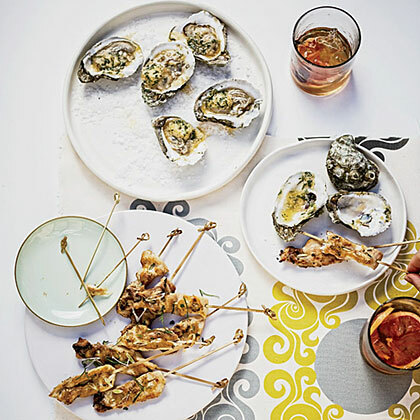 Mint-Garlic Chicken Skewers proves that food is more fun when served on a stick. 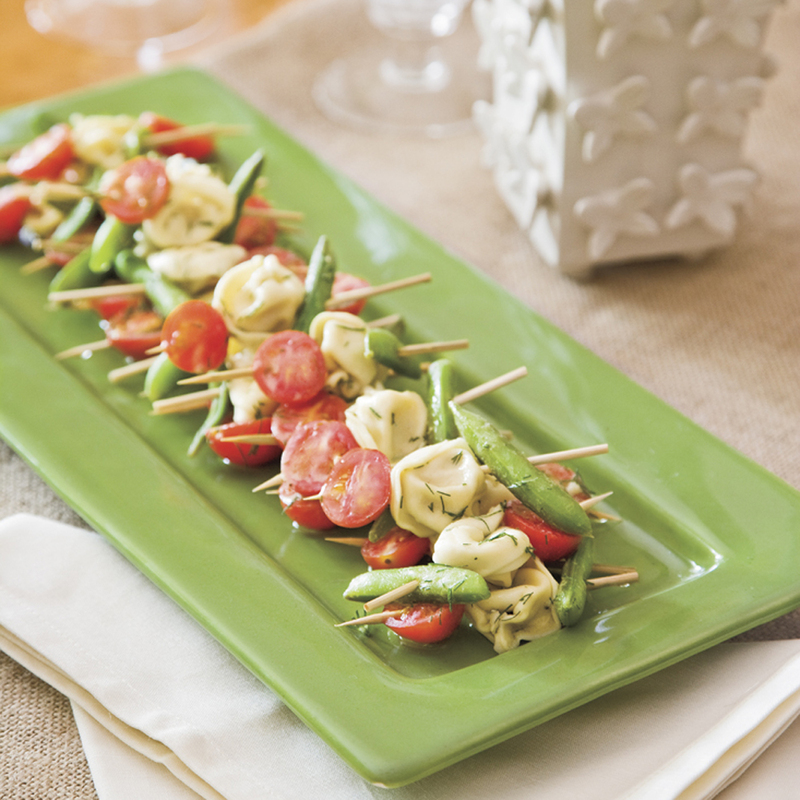 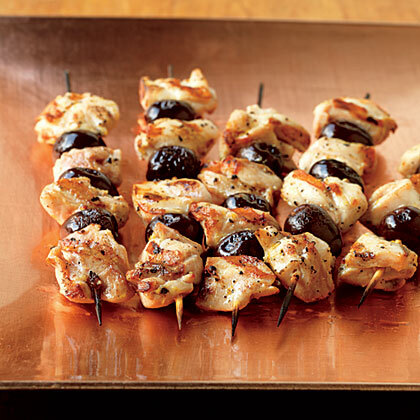 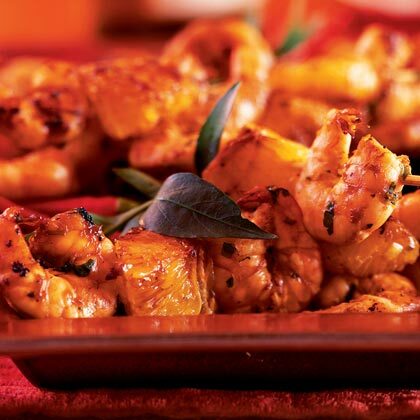 Offer Mint-Garlic Chicken Skewers as a great kid-friendly main dish or a tasty party appetizer. 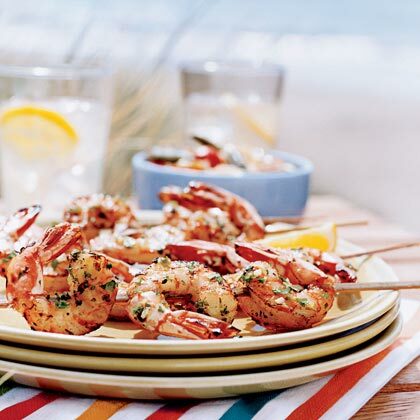 These tender lemon-garlic shrimp skewers make a delicious party time appetizer or an easy backyard family dinner. 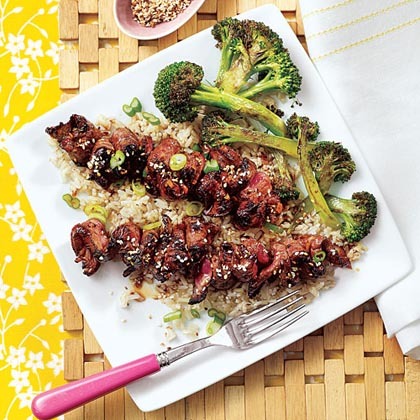 Grilled Teriyaki Steak Skewers are a delicious family-favorite dish that takes so little time to prepare. 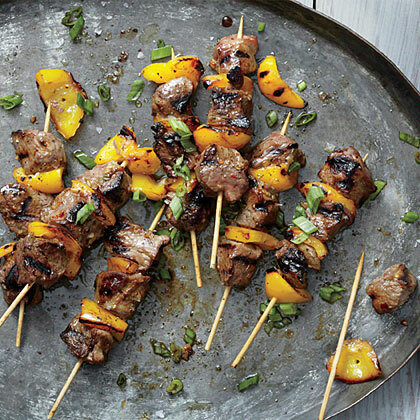 If you want to serve Grilled Teriyaki Steak Skewers at a party, prepare them about half the size, on smaller skewers. 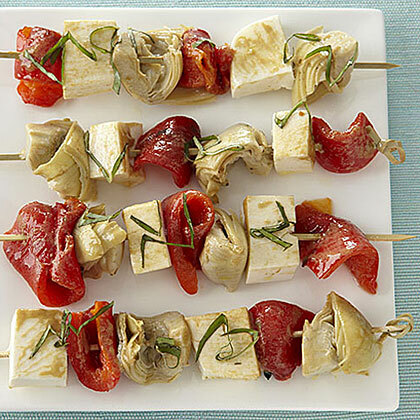 Serve these skewers alone or alongside couscous or stuffed into warm pita bread with a bit of hummus and chopped tomato. 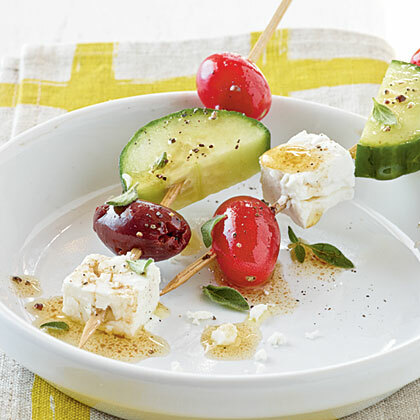 In the adventurous dish, the olives and lemons take on bigger roles, with green olives being the star and marinated lemon slices contributing fascinating flavors and color to the plate. 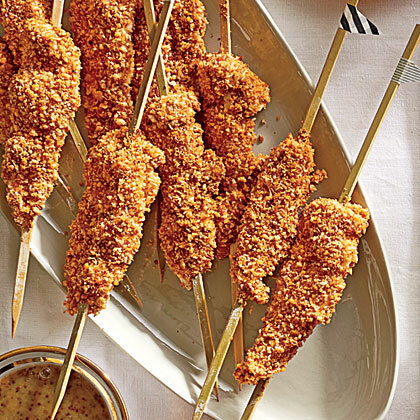 Try shrimp and grits in skewer form. 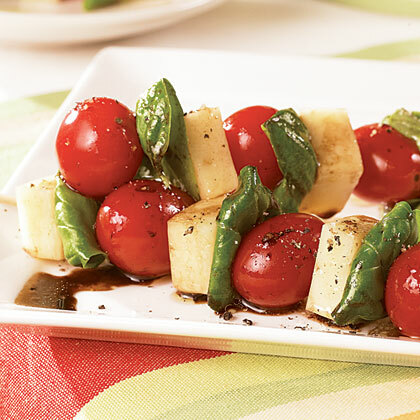 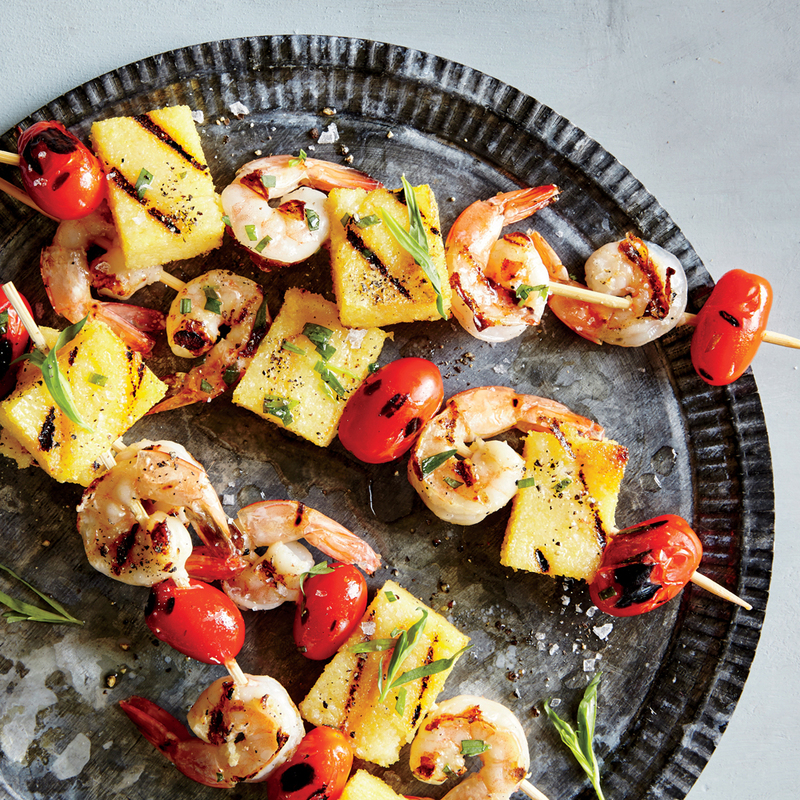 These skewers feature polenta cubes, shrimp, and grape tomatoes. 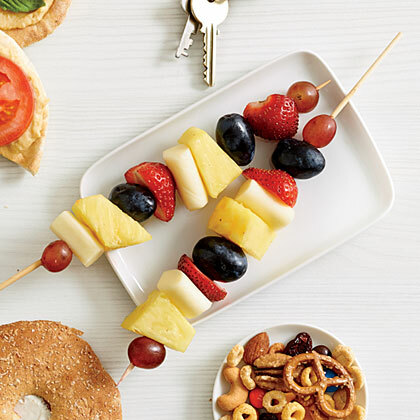 These Antipasto Skewers are the perfect party appetizer and the flavors really come together in this Italian-inspired finger food. 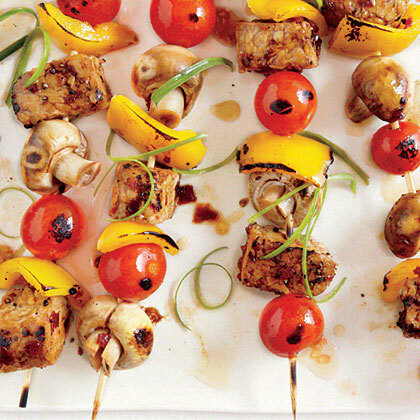 Try these delicious skewers on the grill or under the broiler for a quick dinner.